Cool Davis Eco-hero Julie Cross enjoys her work at the Davis Food Co-op. Great piece published in the Davis Enterprise today: cross-posted here. Passion, conviction and humility sum up the four Davis residents who will be honored as Eco-heroes at the 2011 Cool Davis Festival. All four have made careful decisions about how they wish to live in order to reduce their personal carbon footprints and “do the right thing” for the Earth and themselves. The awards will be presented by Davis Mayor Joe Krovoza during “What’s On Your Plate?,” a special Cool Davis Festival program scheduled for 12:30 to 2 p.m. Sunday, Oct. 16, at the Veterans’ Memorial Center, 203 E. 14th St.The Cool Davis Core Group established the Eco-hero awards to recognize local individuals who, through their efforts, demonstrate how to incorporate sustainable practices into everyday lives. Jeff Mailes, a fifth-year senior at UC Davis, whose battle with cancer as a teenager inspired him to promote local, organic produce and people power “in stark contrast to my fast-food upbringing” in the San Fernando Valley, he said. An environmental resource science major at UC Davis, he has been active in the Sigma Nu fraternity, the Student Farm and Davis FARM (Future Action Reclamation Mob), which produces food to support the low-income/no-income community in Davis. 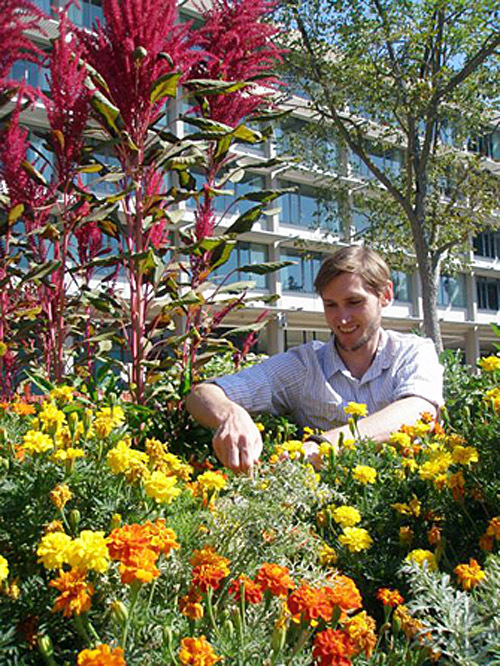 As a new UC Davis Dining Services sustainability intern, Jeff Mailes takes care of the garden and organizes work parties and teaching workshops on gardening. This past year at Sigma Nu, he installed an incentive-based recycling system and succeeded in diverting hundreds of pounds of recyclables from the landfill. 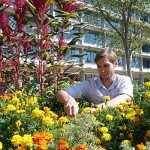 Simultaneously, he started the Greek system’s first composting program. The fraternity’s garden yielded its first zucchini, crookneck squash and tomatoes this summer. In addition to working as the UCD Dining Services sustainability intern taking care of the Segundo resident garden, Mailes will oversee a Cool Davis Day of Service Project at the garden on Saturday, Oct. 15. Mailes has helped make Sigma Nu’s food service events zero-waste and is working to change the fraternity’s disposable “red cup” culture to a “reusable cup.” As his passion for sustainable agriculture has grown, he has dreams of creating an edible-landscaping business. 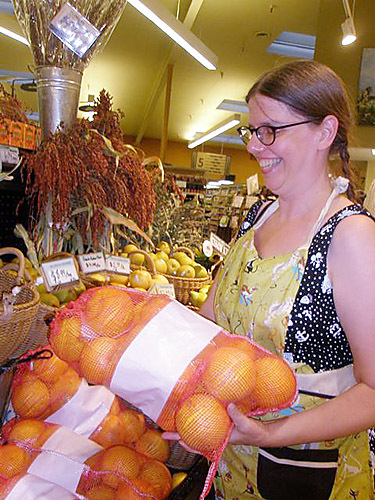 Julie Cross, who says “I love my work” at the Davis Food Co-op.In 1994, she had been working in San Francisco as a paralegal and had come to dislike her job and the big-city atmosphere. She and her husband started a search for a smaller city — one that had a university close by, good bookstores and a food co-op like the one in Arcata, where she grew up. Davis met their standards. Cross soon started volunteering at the Davis Food Co-op, and has been there ever since. She calls herself a “food teacher,” and over the years that “calling” has taken her in a number of directions. 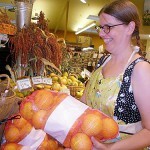 When asked what she was most proud of at the Food Co-op, she quickly listed developing programs to take into the schools, partnering with the Food Bank of Yolo County to provide turkeys at Thanksgiving, building the Food Co-op Teaching Kitchen and writing “12 (meals) for $40,” a column that is published in The Davis Enterprise. 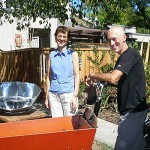 Nancy Davis has her solar cooker making brown rice in the hot Davis sun, while Robb Davis shows off one of their favorite bikes that will allow them to carry hundreds of pounds of groceries or books or whatever needs to be taken somewhere. Robb, who has a master’s in public health and a doctorate from Johns Hopkins University, School of Hygiene and Public Health, is an expert in international public health. His career has taken him, Nancy and their two children to live for various years in far-flung places such as France, Jordan and West Africa. After the family settled in Davis about 10 years ago, Nancy, who has a degree in education, went to work at UCD as a student adviser, and their children entered the Davis schools. Robb continued to travel for his work 60 to 70 percent of his time. The growing climate crisis led the family to think about how they might reduce their impact on the environment. More than eight years ago, the family decided to give up their car — not an easy choice with an 11-year-old son and a 15-year-old daughter — but the whole family was game. Bicycling became a way of life for them. When they shopped, they hooked on bike carts that can hold hundreds of pounds. 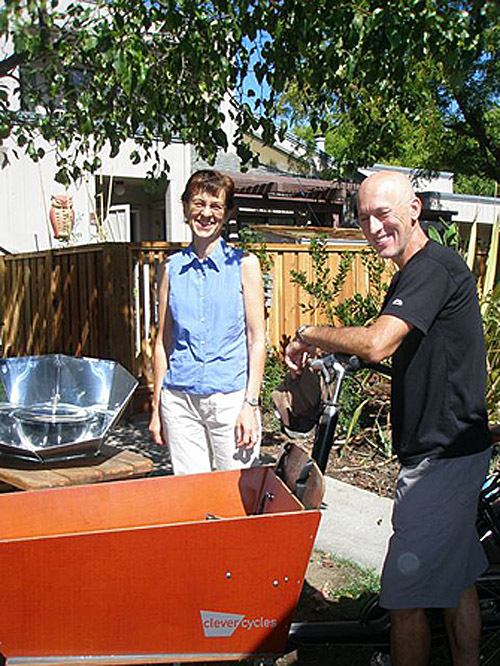 Last year, they rounded up friends and, with their help, they moved all their household furnishings across town by bike to a smaller home. “The parade of 17 bikes full of boxes and beds caught the attention of children, who clapped and drivers who honked and waved,” Nancy recalls. They are both proud of their work with Davis Bicycles! and all that the group has achieved. The Davises have found that every decision to reduce their carbon footprint and simplify their lives has resulted in rewards they could never have imagined. “Self-imposed limits are liberating — selling the car and making other choices to consume and budget differently, we’ve been able to more than triple our charitable giving,” the couple say. “We invest in some religious charities — our church, for example — and donate to groups we feel are having an impact on poverty and food insecurity internationally. “And the best part of living simpler lives is that we do much less racing around, spend more time together as a family, and overall live at a slower, easier pace.